Cerro Porteño has not submitted any formation. 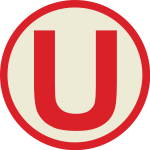 Universitario has not submitted any formation. Emmanuel Urrutia has the chance to shoot... and cannot even target the goal. Martino Iroz passes the ball... and the ball is out. Cross by Berto Díaz... into the clouds! Lon Farrera passes the ball... and the ball is out. Berto Díaz lets taken away the ball. Lon Farrera has the ball and sees his opponent in front of him... but he can win the tackling. Archibaldo Jimenez tries to pass the ball to the strikers... but misses! Javier Rios tries to pass the ball to the strikers... but misses! Pascual Santamarina tries it with a strong shoot... but missed. Pablo Ysassi tries to pass the ball to the strikers... but misses! Ismael Diaz passes the ball... and the ball is out. Cross by Pablo Ysassi... into the clouds! Pascual Santamarina lets taken away the ball. Pablo Ysassi passes the ball towards the centre... but the opponent catches it. Ismael Diaz has the ball and sees his opponent in front of him... and looses the tackling. Michäl Mannsmann steals his opponent's ball in a tackling. Felipe Yroz in a tackling... and looses it! Cross by Alvaro Vargas... into the clouds! Juan Aguera shoots towards the goal... but into the arms of the goalkeeper! Michäl Mannsmann passes the ball... and the ball is out. Archibaldo Jimenez shoots towards the goal... but into the arms of the goalkeeper! German Diego passes the ball towards the centre... but the opponent catches it. Cross by Natal Romero... into the clouds! Michäl Mannsmann tries to pass the ball to the strikers... but misses! Manolo Fajardo passes the ball towards the centre... but the opponent catches it. Berto Díaz passes the ball... and the ball is out. Lon Farrera passes the ball towards the centre... but the opponent catches it. Cross by Luis Henrique Delgado... into the clouds! Luis Henrique Delgado in a tackling... and looses it! Cross by Felipe Yroz... into the clouds! Alvaro Vargas in a tackling... and wins it! Juan Aguera in a tackling... and wins it! Javier Rios passes the ball towards the centre... but the opponent catches it. Martino Iroz in a tackling... and wins it! Header by Pablo Ysassi... that was close. Pablo Ysassi in a tackling... and wins it! Pascual Santamarina passes the ball towards the centre... but the opponent catches it. Ismael Diaz shoots... but the goalkeeper can somehow catch it. Macerio Terezinho lets taken away the ball. Javier Rios runs towards his opponent and wins the tackling! Pascual Santamarina shoots... but the goalkeeper can turn the ball around the goalpost. Header by Berto Díaz... that was close. Cross by Juan Aguera... into the clouds! Alvaro Vargas tries to pass the ball to the strikers... but misses! Alvaro Vargas has the ball and sees his opponent in front of him... but he can win the tackling. Alvaro Vargas has the ball and sees his opponent in front of him... and looses the tackling. Natal Romero shoots towards the goal... but into the arms of the goalkeeper! Luis Henrique Delgado hits his opponent and gets the yellow card for that. Luis Henrique Delgado has the ball and sees his opponent in front of him... and looses the tackling. Michäl Mannsmann has the ball and sees his opponent in front of him... and looses the tackling. Luis Henrique Delgado lets taken away the ball. Michäl Mannsmann passes the ball towards the centre... but the opponent catches it. Alvaro Vargas passes the ball... and the ball is out.